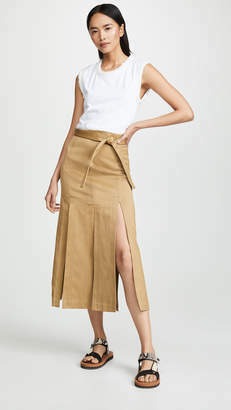 Slinky cotton knit sheath flows to a fluid tiered skirt with shaggy crochet-knit fringe. 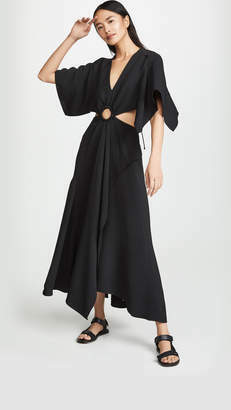 Scoopneck Sleeveless Concealed side zip closure Scoop back Tiered skirt with fringed trim Cotton/polyamide Dry clean Imported from Italian fabric SIZE& FIT Fit-and-flare silhouette About 51.5" from shoulder to hem Model shown is 5'10" (177cm)wearing a US size 4. Contemporary Sp - Workshop. 3.1 Phillip Lim. Color: Natural. Size: 4.